Class D shouldn't be a novelty anymore. NuForce, Flying Mole, Kharma, Jeff Rowland, Genesis, Rotel and Bel Canto are well known brands with different targets of public. Class D has its detractors that acknowledge some characteristics and evidence others that are negative and absolutely unsurmontable for them; while supporters - obviously- do the exact contrary. We cannot ignore the fact that these Class D fit better in our houses, have a nice sound and are cheaper than other devices. 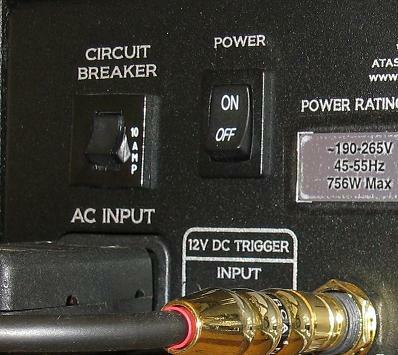 Power facts don't get along with the common idea of powerful amplifiers because these objects are really small. These two Wyred 4 Sound amplifiers for an instance are as big as a kid's shoebox but give 250 Watt on 8 Ohms and more than 500 on 4 Ohms. They are light weighted - and all the weight is due to the husk because components are very few. A toroidal input for power is missing so the weight is only 6 kg for each final - they have a pleasant look but not as nice as Pass Lab. They employ Ice-Power modules and the manufacturer says that they are wired Kimber Cables, partly silver partly copper. 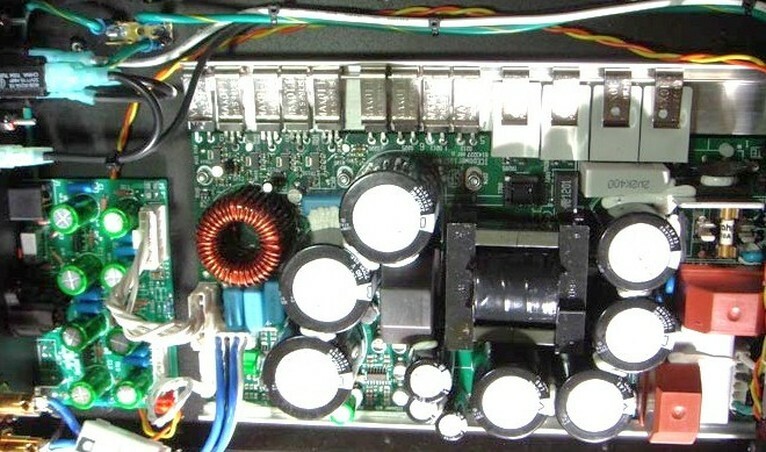 The chassis is quite strong and connections are of very good quality - they used Neutrik XLR connector. 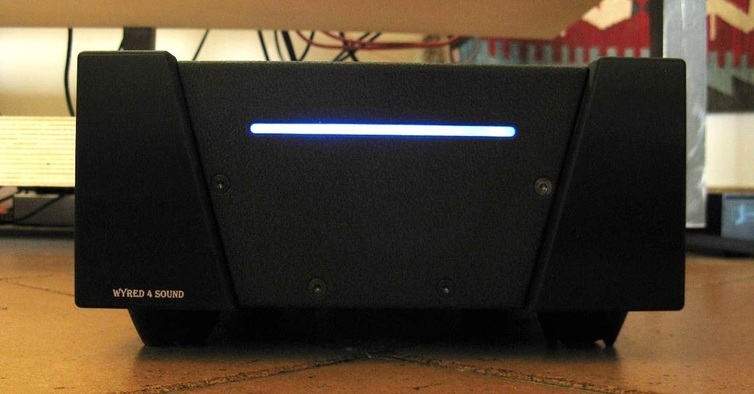 As for the look, on the front panel there is the power led that is put in a slit and its intensity is adjustale. The result is something like an ET eye that, especially in dark rooms, makes you feel observed. 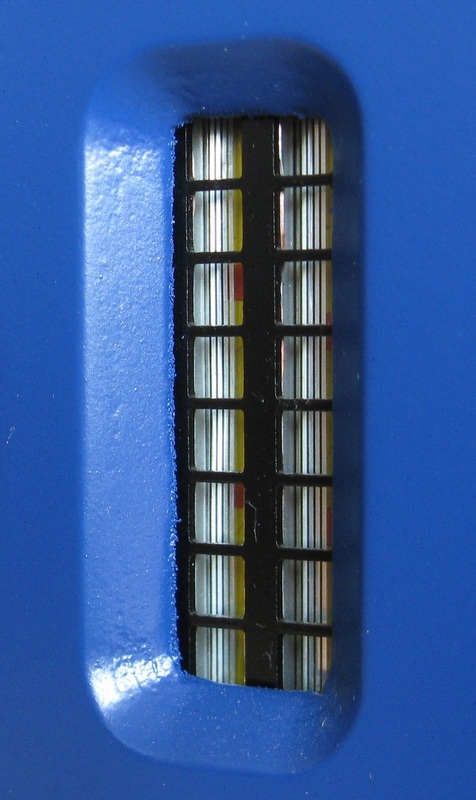 In the back there is the IEC, the power switch, the button to deselect protections, the connector for the balanced and unbalanced input with relative selector and the loudspeakers binding posts. The latter are of very good quality and are fit for all kind of terminations. 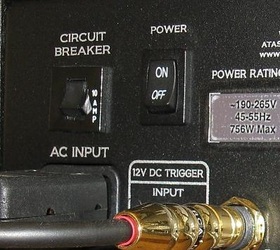 There is also the input for the connection with the pre amp that will automatically turn on the amplifiers when the pre amp itself is switched on. (cables come in the box). 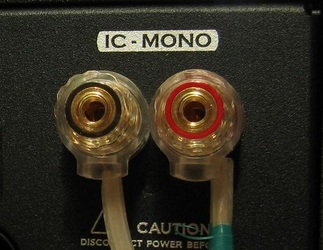 The instruction manual is very simple, the cable given with the device is normal, and is like a computer wire that unfortunately ends with a US plug. I had in my house two adaptors so I had the chance to use the original cables. The packaging is simple cardboard with polyurethane inside but is effective in avoiding damages during transportation. Each amplifier costs, in Italy, 1.085,00 euros, 2.170,00 the pair - with no difference for black or silver finish. 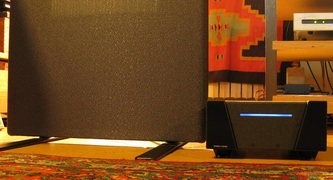 The same amplification is avilable in a single pack as a stereo power amplifier that costs 1.810,00 euros. As for the dimensions take a look at the picture where they are close to one of the Magneplanar 1.6 that I have used during my test. The system used during the test is the following: Bauer Dps turntable with Morch DP 6 tonearm and Transfiguration Aria and Denon DL S1 cartridges, American Hybrid Technology phono preamplifier, Spectral DMC12 line preamplifier with various cables - LFD, MDF, NBS, Audio Note; YBA and others - Magneplanar MG 1.6 loudspeakers and the cables that I have already described in other tests. My reference power amps are the Spectral DMA 100S2 and Spectral DMA50. 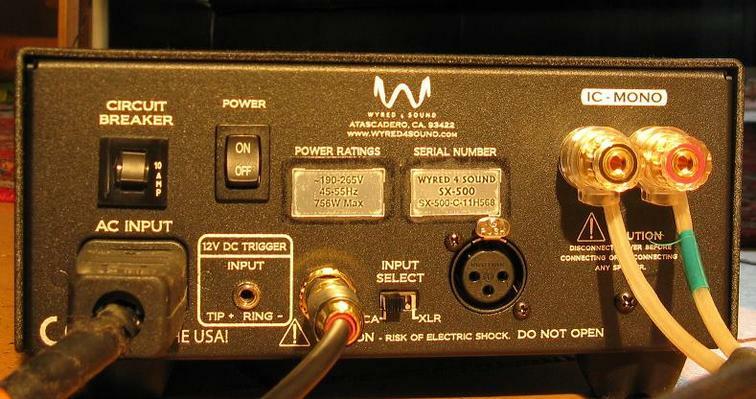 Wyred 4 sound, like all Class D have no need of a particular burn in, they play well as soon as you plug them in. The indication of 100 hours of burn in is appropriate, at first the sound is a little bit too heavy in the medium-low and low ranges but then it straightens up. It also looses that harshness that is present in the high range during the first hours of listenings. The low range is surprising. It is powerful and very well controlled. The baffles of the Magneplanar give back a very realistic sound especially when playing big percussions: the beat starts with a natural speed and ends with the right timing. Listening to the Départ by Wolfgang Rihm - Wienmodern, DGG - the clarity of each percussion hit is stunning, both in the low deep range and in the high range. The fact that all these pieces of information that make the sound so real come out so naturally, is really interesting. I think that the propensity of letting every sound come out, even the awful one, is due to the fact that the inner noise of the amplification is very low. The impression of sound speed is very striking – and I'm comparing them to Spectral that are not slow. All in all I have found that this amplification is fit for all the music genre and it gives to all sounds an excellent quality level. And I want to add that the sound is not thin as I noticed it was in other Class D during my listenings. Every instrument has its importance and its place. I'm comparing this Wyred 4 Sound to Spectral DMA50 and it's useless to underline that Specral has a more fascinating sound because it is more mellow, but if we take DMA100 S2 differences are less evident. The problem with these Class D is that sometimes a fragmented sound can be heard and it sums up to the main sound. Listening to the piano for an instance, in the last two octaves, when the piano player strikes the keys with strenght the original sound of the piano can be heard along with a number of small fast sounds that annoy the listener. All this happens also with these amplifiers but using copper cables this effect is muffled. Silver cables, especially if conncted to the pre amp, instead point out this characteristic. While evaluating these components, be aware that at first they seem to play with a warm sound but the high range is extended and detailed just like the medium and low range. After the burn in the high range is very smooth but I cannot say how much low distortions and power are involved to make the amplification easy and not annoyng for the ears. I have not changed hectically the power cables, while using components of this price range I prefer to use the power cables that come with them. 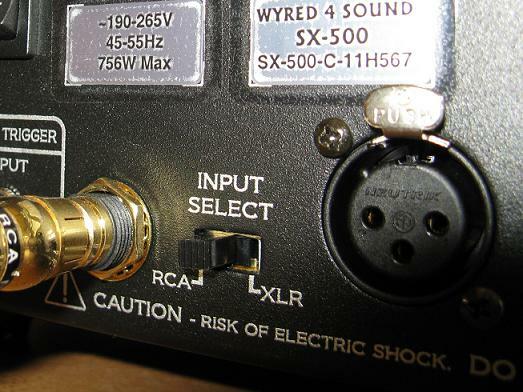 There's no point in saving on the expense for the amplifier if we have to spend then to change the cables. If we use this amplifier at home we have to be careful because it's very powerful and it's easy to get to the maximum allowance limit of the loudspeakers. 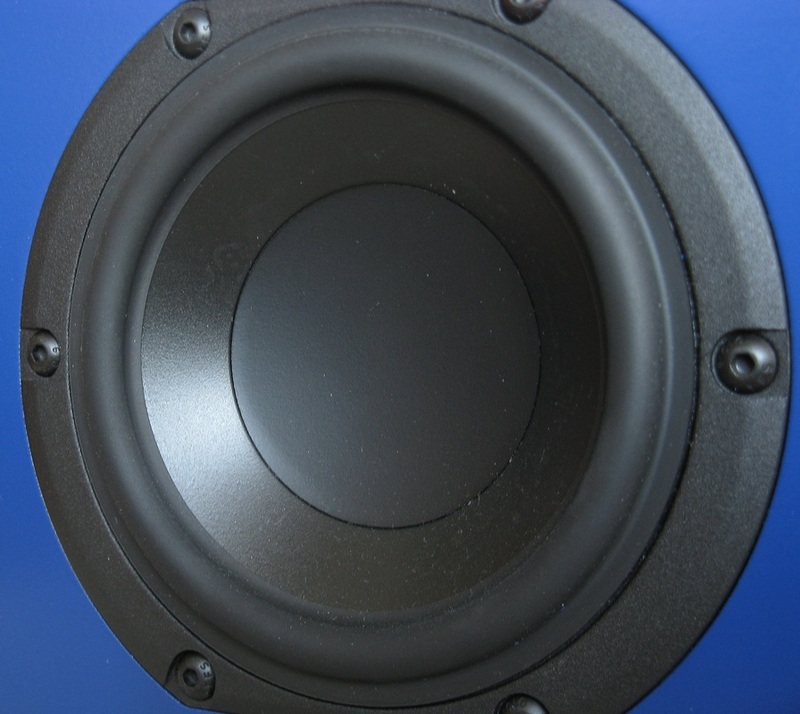 Another time, while testing another class D, I turned the volume so high that I had to repair the loudspeakers of my Magneplanar. The smoothness gives the sensation of a relaxing sound that makes you pump up the volume to the point of damaging the loudspeakers. In conclusion, interesting, with a good sound, powerful and economical. The only weak link is the chassis. Not because it's not well made but because it's not heavy and doesn't have 1 or 2 cm thick panels, like other Class D that don't need heat sinks that cover the whole surface. So, have a listen! Keep in mind that the price is very advantageous not only in the USA - where the component is sold online - but also here in Italy because the distributor kept the price close to the original one. Sometimes we look for peculiar and exotic solution and we don't realize that the simplest things sometimes are also the best . After returning to the distributor the two mono amplifiers, I decided to buy the small stereo power amp ST250 for my personal system. I asked Stefano, my dealer, to place an order, I paid for it and received my goods in two weeks time. The sound capacity of this small stereo is the same of the two mono amps with the upper range a bit laid back. Reading the owner's manual you'll find out that Wyred 4 Sound uses Kimber cables for its internal wiring. So I asked my dealer to lend me for a couple of days a Kimber speaker's cable and he gave me the 8TC. As I stated above: the simpler the better; the upper range has regained its importance in just a few seconds!